Today I'm serving up a tale of being talked into reading a book and the acutely delicious sense of anticipation I felt as I read it. "Whenever you hear the sky rumble, that usually means a storm. In Virgil Flowers’ case, make that two. Forget a storm—this one’s a tornado." The minute I began reading the book, I started enjoying the humor. Virgil Flowers is a piece of work-- the kind of independent spirit that makes me smile and think I've found a new friend. But then the anticipation kicked in. Boy, did it kick in! 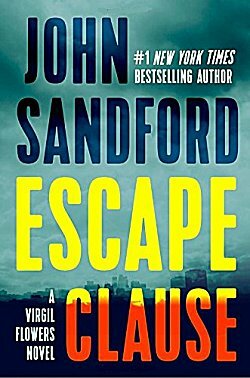 Escape Clause deals with a subject that some readers will want to avoid: endangered animals being stolen and sold for their body parts. (Do not get me started on rich old Chinese men and their traditional "medicines"! 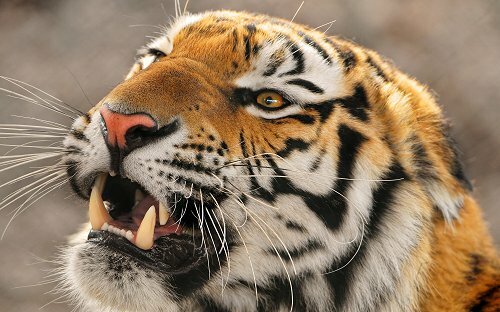 )That's what's happening to the pair of Amur tigers that are stolen from the Minnesota Zoo. One of the thieves has the entire operation planned down to the very last detail... or he thinks he does. Now, I'm going to do something that I try very hard not to do in any of my reviews: I'm going to give away a tiny piece of the plot. One of the tigers is killed. She knew he was dead, Simonian thought. He could see it in her eyes when she turned to look at him. Another thought occurred to him: he should shoot her now. He shouldn't wait, despite Peck. If he didn't shoot her now, something bad would happen. Like, really bad. When I read that, I began to smile. Because I knew-- somehow, some way-- Katya (the female Amur-- Siberian-- tiger) was going to have her day in court, and I couldn't wait. This fueled the most delicious sense of anticipation that I've felt about a book in a long time. I'd think about Katya whenever I was doing chores or out on the road running errands. I'd think about her as I was knitting and watching television. It was very, very difficult for me to keep myself from flipping back to the end of the book to find out what happened, but I did not allow myself to cheat. I love that sense of anticipation when I'm reading a book, don't you? I think it's one of the best gifts a writer can give us because it can take us so completely out of ourselves. When's the last time a book affected you the same way? Inquiring minds would love to know (and possibly add books to to-be-read shelves)! Wow! What an endorsement. My heart just started pounding thinking about the crime against tigers, etc. I would also be angry, knowing that often fiction reflects real crimes. I couldn't wait to find out the resolution of Tana French's The Trespasser, but I made myself wait until the denouement unfolded. I knew I'd be missing some good writing if I peeled ahead. Also, in Peter May's Coffin Road, couldn't wait to find out the culprit. And in Helene Tursten's Who Watcheth. May and Tursten are two of my favorite authors. I read French's first book, but I didn't like something about it and haven't read any more of her work. I should probably give her a second chance. 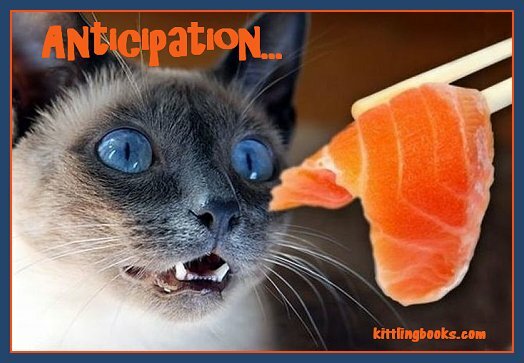 I know exactly what you mean by anticipation, Cathy. I feel that way whenever I read one of Paddy Richardson's books. She has a way of really drawing the reader in like that. Ooooh... someone I've never heard of! Definitely got to check this author out. Thanks, Margot! Try The Trespasser by French. Her books aren't uniformly great, but this one I think is tremendous. She won last year's Irish Crime Fiction prize for it. Dialogue is brilliant.